Green Chemistry Products: You know you have them. Now sell them. "What makes my product more environmentally friendly than every other product in the life science field?" Is the product greener than it was yesterday, last week, last year, ten years ago? Is the product greener than your competitor's product is? How about your other competitors? Is the manufacturing process now faster, cleaner, or more energy efficient? 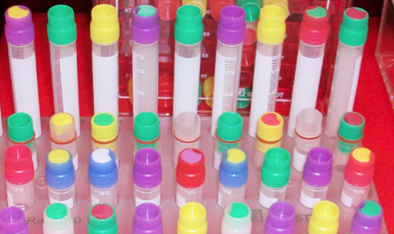 Is the experimental procedure using your product now greener, cleaner or more energy efficient? Scientific research has always been incremental. The process of change is usually slow, so it is no surprise that that changeover to the use of greener products in scientific experimental process is following much the same trend. However, we know researchers want greener products. 4 years ago when we surveyed a group of researchers at a UCLA event, they told us they wanted to see more green products and were willing to pay for them. What green products do you offer? Does your audience know about your green products? How can you let them know about your green products? How can you leverage your green products to help promote your products that are not yet as green? Recently, there has been tremendous interest in moving scientific research towards more environmentally friendly products and processes. Many companies have responded to this interest by making improvements in their manufacturing practices as well as the overall impact of the products they produce and sell. Let us help you promote your company as environmentally and customer friendly at our Green Chemistry Trade Shows nationwide. 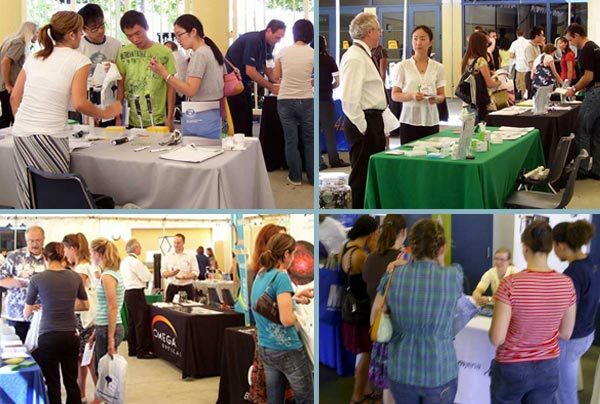 Green Chemistry Shows are a series of table top trade shows for companies marketing green chemistry products to laboratory researchers at top universities nationwide. Take advantage of this unique opportunity to meet face to face with chemistry researchers including those in the fields of analytical chemistry, inorganic chemistry, organic chemistry, biochemistry and chemical engineering. These expositions provide an excellent way to generate leads and sell to a targeted university audience. Biotechnology Calendar, Inc. invites you to join us in showcasing your green products at leading chemistry research universities including the University of Wisconsin, Madison, and the University of California, Los Angeles. Check out our Show Schedule to find an event near you!